As a part of member appreciation round, North Media has profiled some of the club’s most dedicated and passionate supporters. 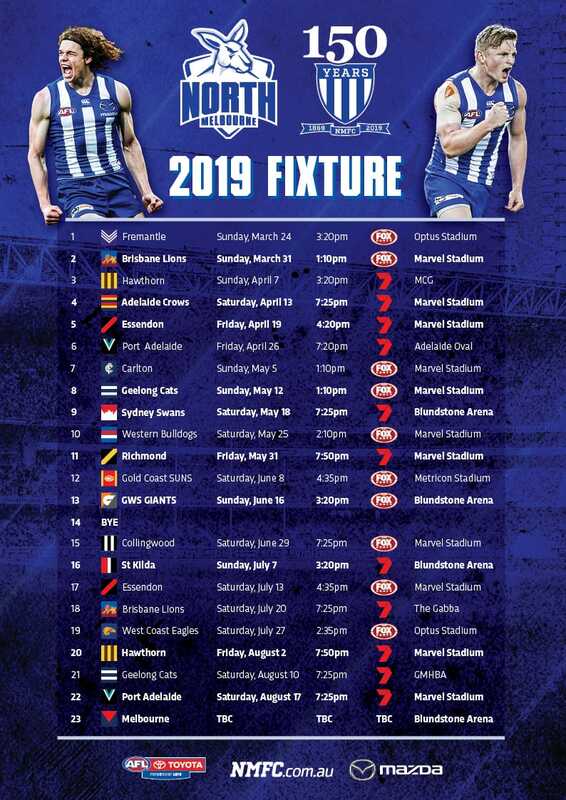 North Melbourne has a long and rich history in the VFL/AFL competition, and one lady in particular has been there every step of the way; well, albeit for one solitary year. You see, Gwen Joyce was born in 1926, the year after the club's induction into the league. Remarkably, she's been a member ever since ... 92 years in all! As North celebrates Member Appreciation Round, it's only fitting we pay tribute to Gwen's amazing loyalty. Born in the heart of North Melbourne, Gwen’s earliest memories are heading to Arden St to watch the football with her father, where she instantly fell in love with the club. “As soon as I put that blue and white jumper on, I fell in love with the club,” Gwen told North Media. Gwen had to wait as long as anyone to see her beloved club lift the VFL Premiership cup for the first time, but it was worth the wait. “My best memory as a North fan is the 1975 Premiership,” she said proudly. “Seeing all the players come back to Arden St with the cup in the back of a truck was just an amazing feeling”. It was made all the more special for Gwen, seeing her favourite player Sam Kekovich holding the trophy aloft. “I loved watching Sammy Kekovich play,” she said. The everyday interaction with players and fans is something that has been somewhat lost in the world of modern sport, but Gwen fondly remembers travelling to Geelong on the same train as the North players for a game. At 92, it is only in recent years that Gwen has stopped going to the footy, and she can barely comprehend how many games she may have attended over the years, with the footy a weekend ritual in the Joyce family. While she can't be at the games these days, that doesn’t stop Gwen cheering on her beloved Kangaroos from home, with her apartment transforming into what her and her friends call the “Corporate Box” whenever the Roos are playing. Gwen has certainly left a lasting legacy of North Melbourne fans. From her oldest grandson, who is 45, to her youngest great-granddaughter, who is nine-months old, Gwen has taken it upon herself to sign up each generation of the Joyce family as members. 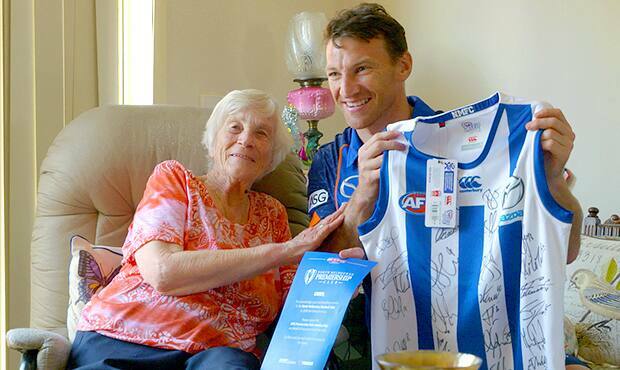 Gwen’s 90th year of membership was celebrated and acknowledged by the club in 2016, with Brent Harvey surprising her with a home-visit.